CastleBranch is an online website that stores documents required for application and participation in clinical rotations. How much does it cost to use CastleBranch? Students (and certain High Schools programs) are responsible for any fees associated with using CastleBranch. Please check the Health Sciences Student Resources page for the current information on prices. How do I create my immunization account in CastleBranch? Click here to see step-by-step instructions in Google Slides. Go to the CastleBranch website to create and log into your account. To order the immunization package, use the package code UL64im and follow the given prompts. Please note if you are a high school student taking the program through the Health Science Academy, please consult your Academy Staff member about what code needs to be used. I am not ready to apply yet, can I create my CastleBranch account now and upload my immunizations early? Yes, we encourage you to create your account and upload your immunization documents as early as possible to avoid any delays in submitting your application. You can submit your immunizations to CastleBranch even if you are not ready to apply yet. Students should have immunizations submitted at least 2-3 weeks prior to application deadline to ensure they are complete at the time of application. Are my immunizations in CastleBranch good for more than one program and/or one year? You do not need to submit immunizations again once they have been approved. You do not need to create a new immunization account if you are applying again or for another program. Can I upload my own personal immunization record to CastleBranch? No, all of the immunizations are required to be on the one-page immunization form. Any information on a personal immunization record will be rejected. How do I upload my immunizations to my CastleBranch account? If you have a question about why an immunization was not accepted, please contact Lisa Enloe, Health Sciences Compliance Coordinator, at lenloe@austincc.edu. I don’t have a scanner. Can I fax my information to CastleBranch? Each requirement will have its own unique fax cover sheet that will need to be printed. Please attach the correct cover sheet to the one page immunization form when submitting to that requirement. Click here to see step-by step faxing instructions in Google Slides. Why was one of my immunizations approved, but the others are still in process? CastleBranch reviews each immunization separately. So you may see that some immunizations are reviewed before others have. At peak application times, it may take several days to have all of the immunizations reviewed in CastleBranch. My immunizations were rejected in CastleBranch. What do I need to do now? Check your messages in CastleBranch. Click here for instructions. The e-mail that you linked with your CastleBranch account should be monitored on a regular basis once you have submitted your immunizations. CastleBranch will email you if there is a problem with the information you submitted. The email should explain why your information was rejected. If you would like additional guidance, please contact Lisa Enloe, Health Sciences Compliance Coordinator, at lenloe@austincc.edu. ACC is closed. Who can I contact for assistance with my CastleBranch account? Please visit CastleBranch’s FAQ page. Email Lisa Enloe, Health Sciences Compliance Coordinator, at lenloe@austincc.edu. I already have a green check mark next to my immunizations, but they were submitted last year. Do I need to create a new immunization account in CastleBranch? No, you only need to create the immunization account once. If anything expires, you will be notified by CastleBranch. What do I need to complete in CastleBranch in order to submit my application? your immunization account approved in CastleBranch with a green check. your program specific requirements approved in CastleBranch with a green check. Please check your programs homepage to order this additional package code. I have a green check mark next to my immunization account and my program specific requirements. Now what do I need to do? Please turn in your application at either our Eastview campus or Round Rock campus during business hours. Online application coming soon. Please check the Health Sciences homepage for the latest information. I still have questions about my CastleBranch account. Who do I need to contact? Please contact Lisa Enloe, Health Sciences Compliance Coordinator, at lenloe@austincc.edu. When is a background check ordered? A background check should NOT be ordered until you have been given instructions on how to do so from your program. Typically this is done a month or two before the start of your first semester in the program. All background checks are done through CastleBranch. No other background checks will be accepted. What backgrounds result in ineligibility? Known or observed abuse or neglect of patients/clients/customers. Why should something that may have happened 20 years ago affect a student’s eligibility for a Health Sciences program? Clinical agencies are required to protect the safety of patients in their facilities. Students who wish to pursue certain Health Sciences degrees have the option to appeal their ineligibility to the appropriate licensing/credentialing organizations by way of a declaratory order process.  Please contact the Health Sciences Compliance Coordinator at lenloe@austincc.edu for a current list of programs that have a review process. Why should anything other than a student’s academic performance matter to ACC? Clinical rotations are the hallmark to ACC’s Health Sciences programs, and students have significant patient contact during these rotations, which take place at hospitals, clinics, and other healthcare agencies throughout the area. If a student’s criminal background check includes a disqualifying history, do they have an avenue of appeal? Yes, there are several Health Sciences programs that have licensing/registry bodies that can review a student’s background check prior to enrolling in a program. If the licensing/registry body approves the individual for the body’s licensing/credentialing exam, the individual is then eligible to participate in clinical rotations and can be admitted to ACC’s Health Sciences programs. Please contact the Health Sciences Compliance coordinator at lenloe@austincc.edu for more information. What are a student’s transfer options to other programs at ACC if declared ineligible to continue in Health Sciences? ACC offers a wide variety of education opportunities outside Health Sciences. Students can explore these with an ACC counselor or advisor. Where can I find more information about background checks for ACC students? Also, you can find the latest information on the Health Sciences Student Resources page.